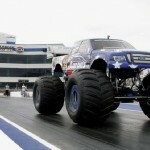 The International Monster Truck Museum & Hall of Fame's goal is to document the history of the sport of monster truck racing in one place, viewable by all monster truck fans. 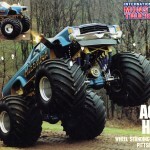 The first phase of the project involves creating a page for every monster truck that has ever existed. On each page, we will then be able to gather every detail of information about each truck that we can, to include photos and links to video footage. Through use of the “comments” feature on each page, everyone who visits this database can also contribute to it. Please share your facts about each truck and whenever possible, please attempt to give your source for any information shared. 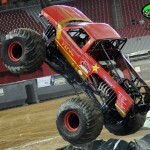 With the earliest roots of the monster truck phenomenon dating back nearly 40 years ago, time is limited for this information to be gathered in one place, accessible to all fans, everywhere. One day in the near future, some of the people involved in this sport’s history will no longer able to share their stories, and in some cases, this has already begun. 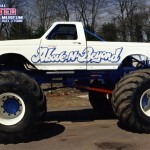 Together we can work to save this history for future generations so that it is always available for any fan who wants to learn more about monster trucks. Thank you to everyone who helps out with this project! 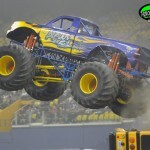 Truck Name: 1/2 Pint Owner Name: Sam Sturges Driver Name: Travis Sturges Hometown: Tucson, Arizona Where Did It Go? 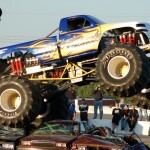 – Sturges Motorsports sold this truck to Miguel Silva in the summer of 2012, who renamed it El Gato Volador. Truck Name: Aftershock Owner Name: Bob Robbins Driver Name: Bob Robbins Hometown: Lawtons, New York Where Did It Come From? 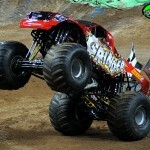 – Team owner Bob Robbins purchased a brand new custom chassis from Jim Koehler and debuted the completed truck in 2007.